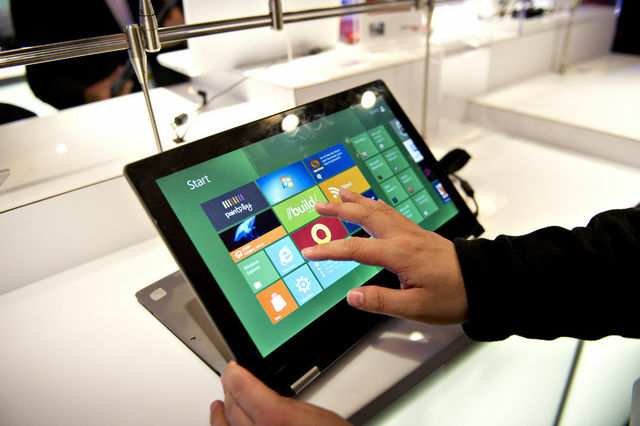 With the Windows 8 waiting for its release, new tablets that are to be powered by the same are expected to be displayed at the Computex Show, Taiwan Next week. New tablets from Asustek, Acer and Toshiba are expected to be unveiled at the show. Acer is expected to present a new tablet which will be based on Microsoft’s new platform, while Toshiba will be showing a tablet and a Netbook type device which is yet to be disclosed in public. Asus will also be presenting another tablet with a detachable keyboard which might be similar to the current Transformer model. The Windows 8 will be the first platform from Microsoft that will also work on ARM processors, a type of chip which made by Qualcomm Inc., Texas Instruments inc., and Nvidia Corp. The new Windows 8 platform will be capable of running on two types of processors as x86 processors which are generally used in computers and also the ARM based processors. However, both the versions are totally different from each other. Asus is expected to demonstrate tablets based on an NVIDIA ARM chip called the Tegra and another powered by Intel chip. The tablet that Acer is going to present might be an Intel chip built device. This show will highlight a limited number of ARM based devices as Microsoft seeks to ensure that by the time Windows 8 is released the product will stand up to compete with the iPad. It is also believed that Qualcomm will demonstrate a test device running on Windows 8 based its Snapdragon processor. Apart from all these the spokesmen from Microsoft, Asus, Acer, NVIDIA, Intel and Texas Instruments have declined to make any comment on the plans of their companies for the Computex Show.